We meet the controls challenge head-on by offering a full range of options for automatic operation of refrigeration systems. 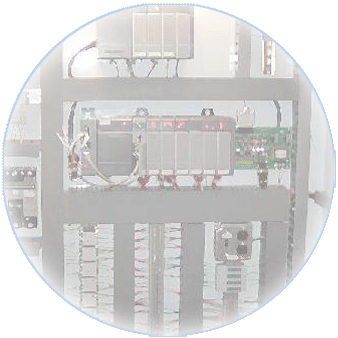 These control systems provide automated control and monitoring of the refrigeration system and individual components. Our control systems incorporate numerous functions including: Data Logging of system conditions and control of Safety Systems, such as emergency exhaust fan operation and cooling zone shutdown initiated by refrigerant leak detection equipment. When connected to a modem or internet source, we can supply on-line monitoring and trouble shooting of the system from remote locations. Process Service Solutions is on the leading edge of industrial refrigeration controls. We have the experience to design, install, and service computerized control systems. Each control panel is fabricated in our climate controlled Electrical Shop. Our panel fabrication shop is certified by Underwriters Laboratories under the 508A standard. Our enclosures are constructed to meet the stringent UL specifications and are marked as “UL Listed”.